Only growers or producers may sell. A grower or producer is any person offering for sale articles such as fruits, honey, vegetables, edible grains, nuts, berries, plants, flowers, arts, crafts, preserves, jellies, jams, or baked goods, such as breads, cookies, or pies (ITEMS WHICH REQUIRE REFRIGERATION MAY NOT BE SOLD) which have been raised, grown, or created by his/herself, members of his/her family, or by persons in his/her employ. Sellers must be 18 years of age or accompanied by an adult. Guns & Knives May Not be sold. Rummage/Garage sale items May Not be sold. Hazardous Items/Materials (i.e. fireworks, ammunition) May Not be sold. Selling of Large or small animals May Not be sold. Fresh agricultural produce, arts and crafts, preserves, jams, jellies, honey, bread, and baked goods such as breads, cookies, or pies may be sold. Produce is defined as fruit, vegetables, preserves, honey, bread products, baked goods, flowers, and plants. Produce should be mature but not overripe, void of decay, have good external and internal appearance, and must be clean and free of contamination. Arts and crafts are defined as hand-made arts and crafts. Fresh farm eggs may be sold as nest-run (i.e. ungraded). Such eggs must be sold ONLY to household customers. The eggs must be clean and free from checks. If containers are used for the sale of eggs, they MUST either be new or the old labeling must be removed or marked out completely. If you are selling fertilized eggs, you must advise the buyer of this. While farm fresh eggs do not require immediate refrigeration, you should use common sense in this situation. Be prepared to refrigerate or otherwise keep the eggs cool (not frozen) during long, hot markets. Further, you might consider taking orders from consumers. NOTE: the eggs must be from the producer’s (i.e. Seller’s) own flock of hens. Each producer should post a sign in a conspicuous manner in his/her area, identifying the producer by name. Lettering must be clearly legible. 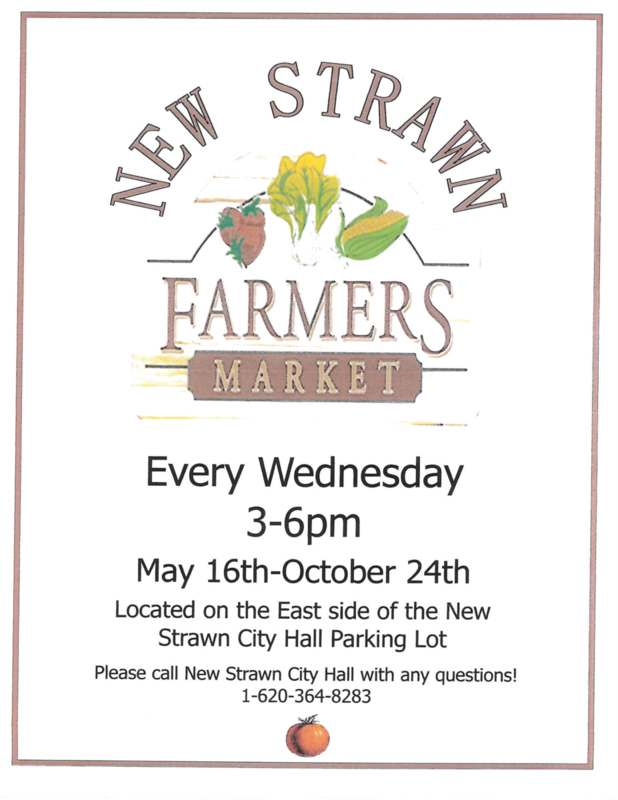 The Farmers’ Market will begin the third Wednesday in May and will run through the last Wednesday in October. The Market is open Wednesdays from 3:00 p.m. to 6:00 p.m.